We’d rank the dishwasher as one of the most useful household appliances of the 21st century and going by the volume of sales, a lot of people agree with us. Rather like their close relatives, washing machines, they may not, technically, be necessities, but they make life so much easier than many people now think of them in those terms. They certainly help to free up our time for activities which are more enjoyable and/or more productive. They also provide a more hygienic and economical clean. Washing-up liquid breaks down grease, but it doesn’t actually clean in the sense of getting rid of harmful bacteria. It’s the hot water which does that and the hotter the water is, the better it cleans. This is why people are advised to wear rubber gloves and have the water as hot as they can stand when they are washing the dishes. The problem is that even when you do this, you’re highly unlikely to be able to stand to have the water at the sort of temperature a dishwasher can use. In addition to this, humans need to use scourers and so forth to get rid of dirt and these can quickly (and ironically), become homes for germs. Dishwashers, by contrast, clean through the use of high-pressure jets, which do not become contaminated and are therefore much more hygienic. When you wash dishes by hand, the water goes cold as you wash them, so you have to keep topping it up. Even with these top-ups, the water also gets dirty so from time to time you have to change it completely. Alternatively, you can wash dishes under a running tap, but this is also very water intensive. Dishwashers can keep water hot throughout the cycle and hence use it more efficiently and with half-load functions and even load sensors to tailor water usage to the number of dishes being washed, dishwashers really are very respectful to the environment (and your wallet). 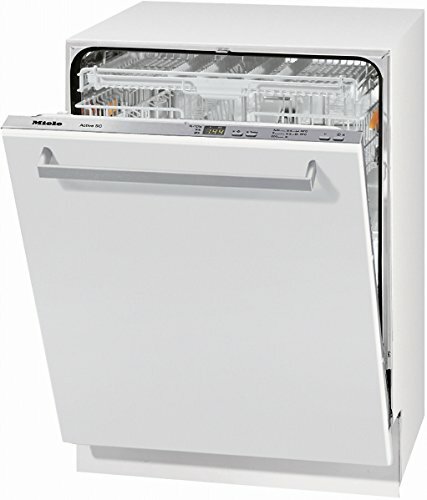 Integrated dishwashers are simply dishwashers which are hidden behind what looks like a standard cabinet front. The big advantage of integrated dishwashers, as compared to ordinary freestanding ones, is the fact that they blend in with the kitchen as a whole and give a streamlined appearance, which can be very valuable in today’s more compact kitchens. 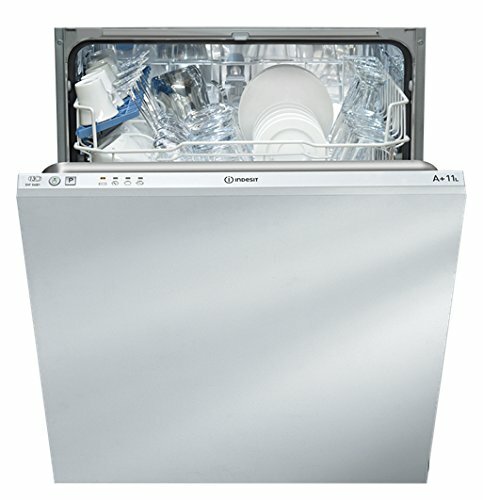 At the end of the day, the criteria for choosing the best-integrated dishwasher for you are much the same as the criteria for choosing an ordinary, freestanding, dishwasher. Capacity will probably be a significant factor for most people. While 12-place-settings can seem like a large number (and 13-place-settings even larger), having this extra capacity means you have the option to load the dishwasher with the plates and cooking equipment from more than one meal before you turn it on. Alternatively, you could do a half load and clean them immediately. As well as looking at the number of place settings an integrated dishwasher holds, it’s often helpful to look at the way the interior is designed and how much flexibility it offers. 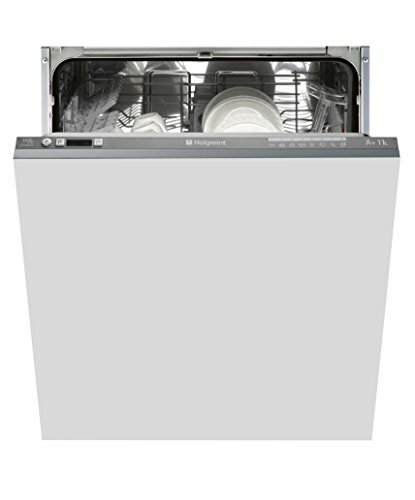 All the integrated dishwashers we recommend have adjustable top trays to help accommodate larger items in the base. After this, you will probably want to look at features like the number and type of programmes and what temperatures the dishwasher can use as well as aesthetic features like the colour. It has to be said that the nature of dishwashers means that even top-of-the-range models tend to have fewer programmes than standard washing machines. You can, however, find machines with useful extras such as delay timers and load sensors for optimized water usage. Finally, you might also want to think about whether or not colour matters to you. Here are the integrated dishwashers we think most people should look at first when they are looking to find the best-integrated dishwasher for their needs. Hotpoint started out as one of the leading names in washing machines and so moving into dishwashers was a natural progression for them. We’re slightly confused as to why Hotpoint opted for a 13-place capacity, but we’re quite happy with it, particularly since you can adjust the height of the top tray to accommodate larger items underneath. This being Hotpoint, the emphasis is on solid value rather than stunning features, so you don’t get sensor washing but you do get 8 programmes for a decent amount of flexibility and these include a rapid cycle and an eco cycle. You also get a delay timer. In short, the Hotpoint Aquarius LTF 8B019 does a very decent job for a very decent price and at a very decent volume. The Indesit DIF04B1 is one of the most affordable dishwashers on the market, which means you need to set your expectations accordingly. Not only do you not get sensor washing, you only get four regular programmes and the shortest cycle is around two hours, which is fairly lengthy. On the plus side, it does do a very thorough job of cleaning and its 13-place capacity and adjustable top tray mean you can fit in larger items fairly easily, from pots and pans to full-size dinner plates. In short, if your family does a lot of fine dining and you want a dishwasher with lots of different programmes for lots of different items, then move along quickly, there’s nothing to see here. If, on the other hand, you just want to finish your meal, load up the dishwasher and come back to clean dishes, then the Indesit DIF04B1 could be a good option, especially if you’re on a tight budget. Miele have established themselves as one of the top brands in domestic appliances and, quite frankly, their prices reflect this. If, however, you do have the budget for the upfront price, Miele appliances are always very efficient, in this case of both energy and water, so you can expect to make savings over the long term, as well as helping the environment. The Miele G 4264 SCVI has sensors to adjust the amount of water it uses according to the load, it also has an Eco cycle as one of its five programme options. We assume Eco refers to the environment rather than economy although both could apply. One of our favourite features of the Miele G 4264 SCVI is the fact that not only can you adjust the height of the top tray but you can actually raise one side to be higher than the other. Combining this with the generous 14-place capacity and you should be able to fit in your cookware with ease. In short, if you have the money, the Miele G 4264 SCVI is a great investment appliance. 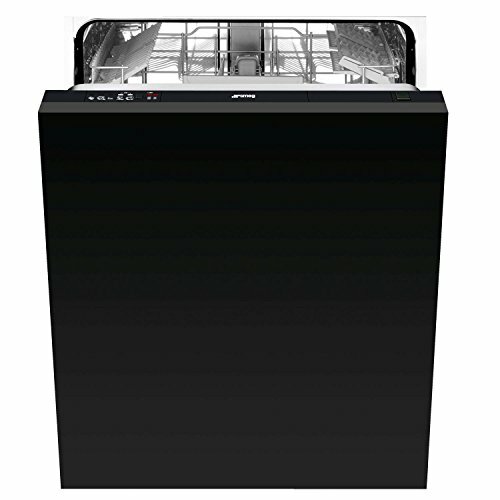 We were looking for a black integrated dishwasher for our list as we know that some people want something a little different from standard, white appliances. We were, however, only prepared to include a dishwasher which we would have been happy to recommend even if it had been a standard white. The Smeg DI612E fit the bill nicely. It supports five temperatures and five washing cycles, including a half-load function, which helps to make up for the absence of sensor washing. With a capacity of 12 place settings and an adjustable top tray, there should be plenty of space for everyday dishes. In short, we suspect that most of the people who buy the Smeg DI612E will do so because of its colour, but it has a lot more to offer. While the Miele G 4264 SCVI leads the pack by every objective measure (except, maybe, colour), it requires a significant upfront investment, so it’s not for everyone. The Hotpoint Aquarius LTF 8B019 and the Smeg DI612E are both reliable, mid-range options in white and black respectively and even the entry-level Indesit DIF04B1 puts in a very respectable performance.